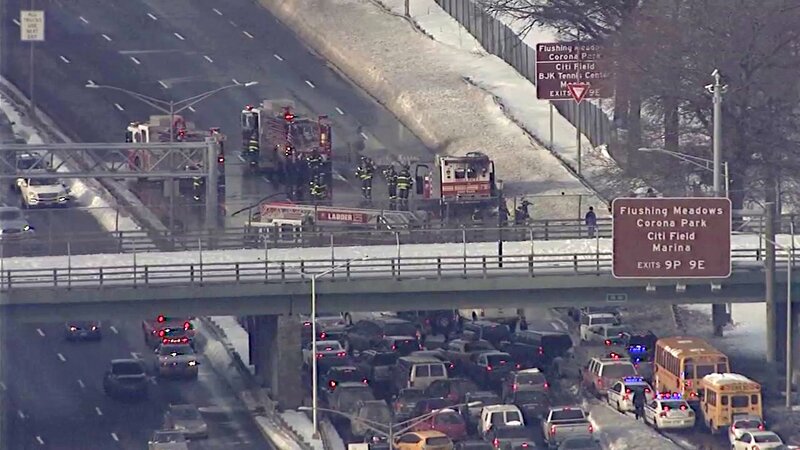 FLUSHING, Queens (WABC) -- The westbound lanes of the Grand Central Parkway are temporarily closed because of an ambulance fire, snarling traffic through the area. 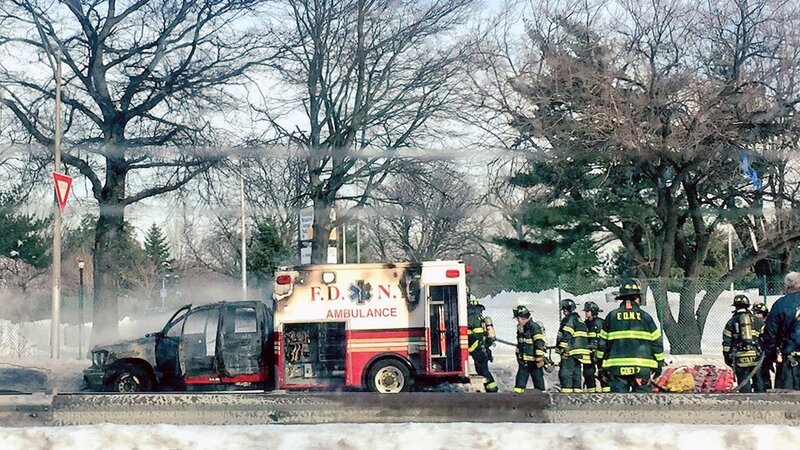 The FDNY truck caught fire at around 2:20 p.m. Monday in Flushing. There are no injuries, but all westbound lanes remain shut down while firefighters put out the fire. There are three lanes closed on the eastbound side. with only one getting through. There are extensive traffic delays through the area.